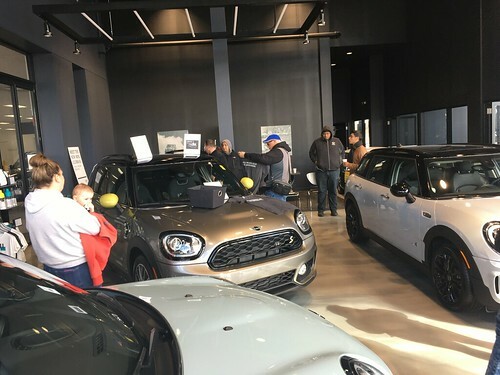 The Chicago MINI Motoring Club has been ?invited to join in with the MilwaukeeMINIs and attend the Milwaukee Art Museum After Dark British Invasion evening on Friday October 19th. The Milwaukee Art Museum has asked the Milwaukee MINIS to come out that evening to line the front of the Calatrava as well as the parking garage with MINIS and Minis. WE REALLY WANT A HUGE ATTENDANCE AT THIS!!!!! MAM After Dark is a monthly event that occurs 5pm to 12am and features entertainment, food and cocktails, music, and art around a singular theme. Parking will be free for all MINIS and Minis from 5pm ? 7pm and we can offer your members half off admission for the night ($6).? Add a comment on this post also so we know who will be there!! Hi Steve! I am considering heading up, will you have a meeting place to travel together? I’m going to be leaving early to pick up my daughter on the way up.. haven’t figured out what time yet..